Move out & End of Tenancy Cleaning L13 Clubmoor | Quality Property Care Ltd.
You might be rather self-confident in your cleaning skills, but when it comes to cleaning at the end of your tenancy agreement - or as it is also known - deposit back cleaning, it is a good idea to trust some professional help. 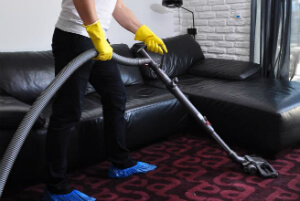 Quality Property Care Ltd. offers a professional end of tenancy service to please the home and commercial end of tenancy cleaning needs of the people and companies of Clubmoor L13 and the region. The post tenancy cleaning firm provides a high quality cleaning service which arrives with a forty-eight hour high quality guarantee and at an amazingly competitive end of tenancy cleaning price. Contact our phone 0151 673 0008 or send an online request to get more info on the price and conditions for booking our expert tenancy cleaning service. There is usually a preliminary visitation by the competent end of tenancy cleaners. Individual service plan is required. Determined as a deep and thorough purge, move in and out tenancy cleaning demands solid efforts, great sanitizing skills and thorough inspection for spills, microbes and dust particles. Until eventually the whole debris is out, none of the hard-working Quality Property Care Ltd. end of tenancy cleaners Clubmoor L13 will leave your property. Our reputable post tenancy cleaning company has the proper formula for good results: revolutionary cleanup techniques + unique approach to each client. Note that in case of an omission, our end of tenancy cleaning company Clubmoor L13 gives you a guarantee. Call us in just 48 hours and we will re-clean your house for free, if you or the landlord, property agency are not happy with the final result. It is brave to handle the whole end of tenancy cleaning on your own, but it is certainly not the maximum choice at all. Instead of losing time in scrubbing up, rubbing and sterilizing, you may deal with your removal: calmly and step by step, with no burden by the time. Employing professional end of tenancy cleaning service from Quality Property Care Ltd. in Clubmoor L13is also more realistic as to the cost. Why bothering with frustrating cleaning, when moving out is carrying so much stress? The reasonable solution is here: superior end of tenancy cleaning service that costs almost nothing! The greatest and the most diligent end of tenancy cleaners in area are here to help you in this hard and dirty scenario! Hurry up to make a rapid booking for our adaptable end of tenancy cleaning company Clubmoor L13 services! Quality Property Care Ltd. is ready for your end of tenancy cleaning needs. Get a free quote now or ask for further information! Dial that 0151 673 0008 phone number or the online booking form and arrange for our end of tenancy cleaning service in Clubmoor L13 at tiny fraction of the cost right now!